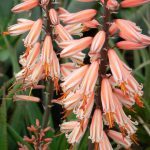 Plant Breeder Rights: Certain plants in the Sunbird Aloes collection are protected in terms of the Plant Breeder’s Rights Act, 1976 (ACT No.15 of 1976) and for others these rights have been applied for and are “pending”. In both cases unauthorised commercial propagation or any sale, conditioning, export, import or stocking of propagation material of these varieties is an infringement under the Plant Breeder’s Rights Act, 1976. Trademarks: All trademarks are claimed and owned by Leo Thamm. Warranty and Liability: Information and advice on this website is provided without any form of warranty, neither express nor implied. 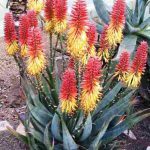 Sunbird Aloes expressly makes no representations relating to the accuracy, completeness or reliability of the material on this website and assumes no liability for any damages resulting from information or omissions from this website. Sunbird Aloes makes no warranty including suitability for a particular purpose. Use of this website is at the risk of users. 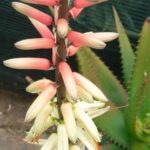 Photo use: The website is owned and operated by Sunbird Aloes and the content featured or displayed on this website, including but not limited to text, graphics, photographs and images are owned by Sunbird Aloes and its content providers. All elements of the Sunbird Aloes website, including the design and content are protected by copyright, moral rights, trademark and other laws relating to intellectual property rights. No portion or element of this website or its content may be copied or retransmitted via any means except as expressly permitted by agreement with Sunbird Aloes. Photographic images downloaded from this website is strictly for reference only unless prior agreement with Sunbird Aloes has been provided.